This week I’ve been spending time with Ahmed, George, Alen, and Mirela, all of whom have trusted Jesus in the past year. They bolster my hope for the younger generation. Already Ahmed has seen God come through in some powerful and miraculous ways. In one situation all hope was clearly gone until – after prayer – he received a phone call that turned everything around in a moment’s time. I love the way God pampers the young. This week I’ve been reading Athanasius, “On the Incarnation of the Son of God.” He’s the fourth century brother who was most responsible for giving the us the Nicean Creed. The thing that grips me most deeply in his writing is the shocking hospitality of the Fathers heart towards mankind after the fall. I’ve grown up with a clear idea of a God who’s been “ticked off” with us ever since Eden. 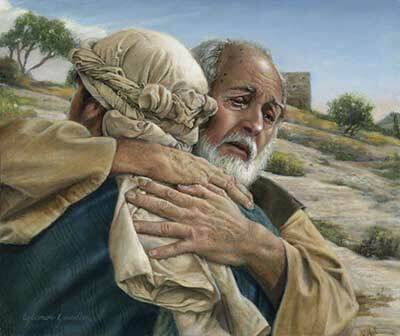 But what a tender picture Athanasius paints of a Father refusing to give up on his creation. 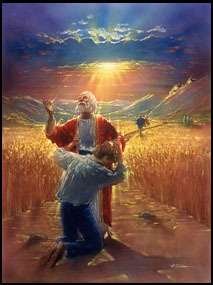 It so perfectly fits Jesus’ story of a wayward son who’s heartbroken Father scanned the horizon in hope of his return. Most people, I believe, are innately attuned to the concept of a God who has set himself against us in our sin. But Athanasius paints a God who is FOR us, who declares a resounding “NO!” to all that separates us from his love. I believe if people were able to grasp such a Father, there would be few who would reject him. A few years ago, I was asked to do a presentation at a women’s retreat on hospitality. I thought they’d picked the wrong person — until I really learned what hospitality is — and you’re right, God is miraculously hospitable. Don’t know if you’re interested, but a group I belong to posted the outline I created for the presentation (unfortunately, it all runs together — all the bullet points got lost) — but it supports what you’re saying about what hospitality is — and how being hospitable makes us more like God.